Come see the Los Amigos Drama Department perform S.E. 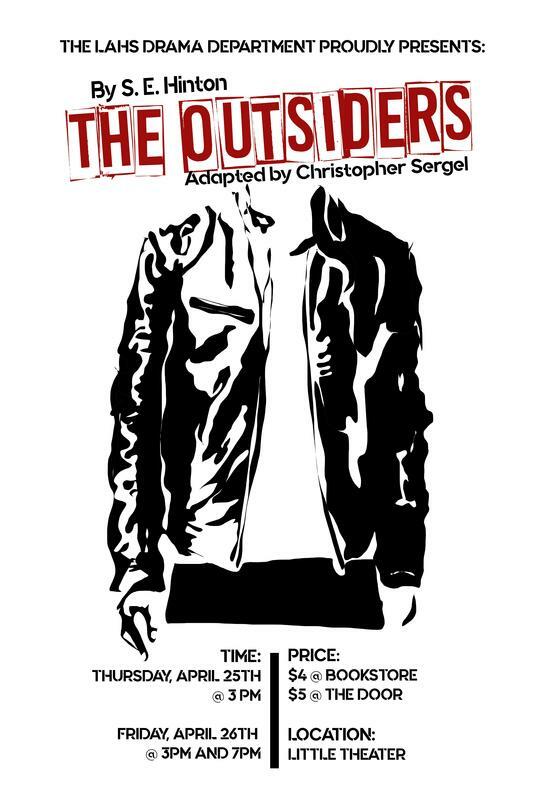 Hinton’s classic novel, The Outsiders, at the Little Theater on Thursday, April 25th at 3 PM, or Friday, April 26th at 3 PM and 7 PM. Tickets are on sale for $4 at the bookstore and $5 at the door. Hope to see you there!